Douglas Rain, a Canadian actor best known for voicing the HAL 9000 computer in Stanley Kubrick's classic film "2001: A Space Odyssey," died on Sunday. He was 90. The Stratford Festival in Ontario, where Rain was a founding member, announced that he died of natural causes in Stratford. "Canadian theatre has lost one of its greatest talents and a guiding light in its development," the theater's artistic director Antoni Cimolino said in a statement. He called Rain "that rare artist: an actor deeply admired by other actors." Rain racked up nearly 40 acting and voice credits between 1955 and 1995, according to IMDB, and he also performed on stage for decades, including roles in a number of Shakespeare productions. But in his most famous role, he didn't even show his face. Rain provided the voice in "2001" for the HAL 9000, a sentient computer controlling a spaceship bound for Jupiter. 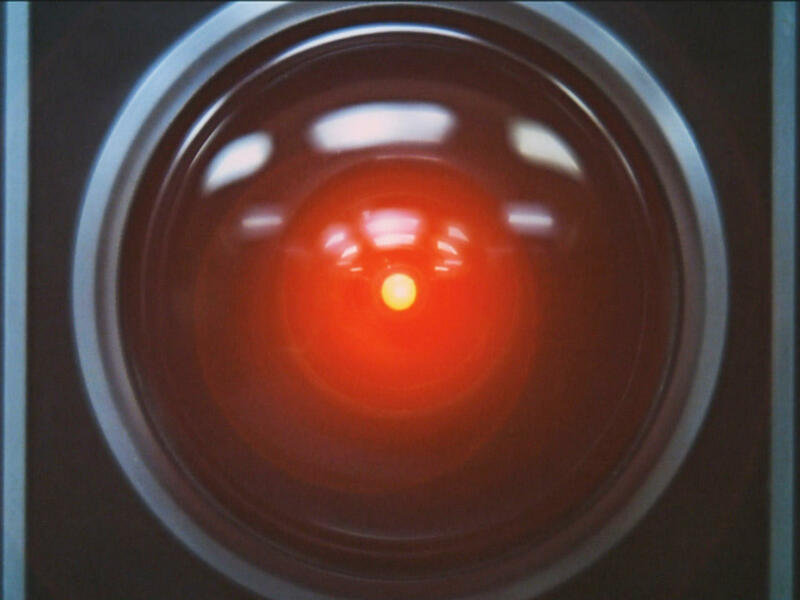 HAL can speak with the astronauts and follow their commands, and the computer calls itself "incapable of error." But when the humans on board start questioning its performance, and consider shutting the system down, HAL finds ways to compute revenge. With few characters and little dialogue in the film, HAL 9000 emerged as the most iconic — and the most human — figure in Kubrick's 1968 sci-fi epic. The character also turned out to be a precursor to AI devices that are now household items, like Alexa and Google Home. Kubrick cast Rain for the role near the end of production, after scrapping other actors — including an Oscar winner, Martin Balsam — because he thought their voices were too distinctly American or British. Kubrick heard Rain's voice as the narrator of a 1960 space documentary, "Universe," and thought his flat but formal delivery was exactly right. "I think he's perfect," Kubrick said about Rain, according to Kate McQuiston's book "We'll Meet Again: Musical Design in the Films of Stanley Kubrick." The director said Rain's voice had "the intelligent friend next door quality, with a great deal of sincerity, and yet, I think, an arresting quality." But Rain said he treated his immortal role as just another job. He recorded his lines without watching the footage or meeting any other actors, and he told The New York Times earlier this year that, 50 years after its release, he still hadn't seen "2001." He also downplayed his work on the film, telling the Times, "If you could have been a ghost at the recording you would have thought it was a load of rubbish." Rain also voiced HAL 9000 in a sequel, "2010: The Year We Make Contact," which came out in 1984 and was one of his final screen credits. Edgar Wright, the director of "Baby Driver" and "Shaun of the Dead," wrote on Twitter that Rain delivered one of "the best performances in film, with just his voice."